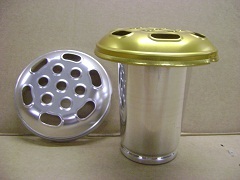 We have various sizes of our vases available for use in memorial stones. 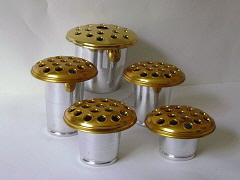 Our vases are weighted or un-weighted, with silver or gold lids. All of our lids are interchangeable. 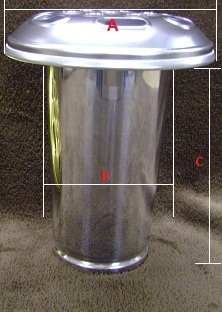 If you cannot find the size you require in our list, please give us a call with the lid, bore, and depth measurements and we will happily provide a quote. 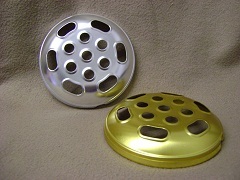 If you prefer the round hole lid this can be provided at a small additional cost (See picture on the right).